If you have a leaky or broken faucet, do not get upset! All plumbers at our company are experts in fixing different types of faucets, including cartridge, compression, ball and ceramic disk. 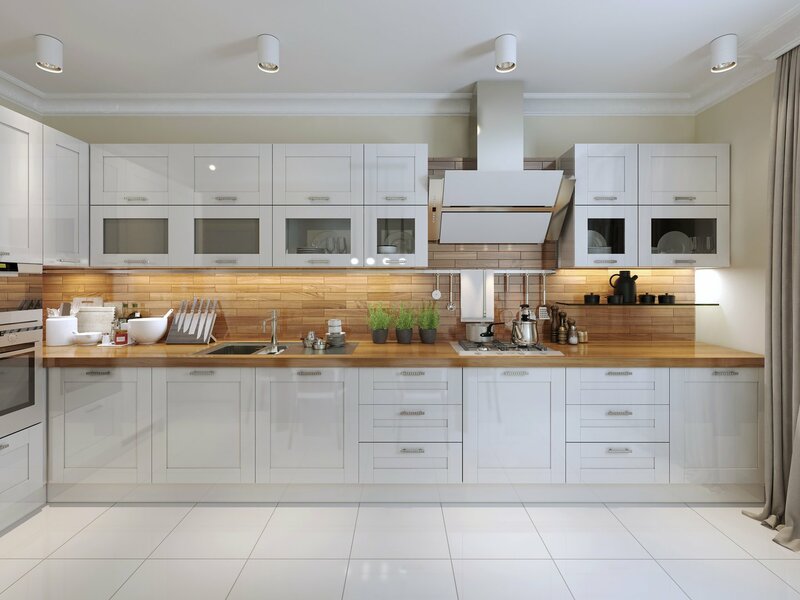 Whether you need to replace a small part or install a new kitchen fixture, we can handle it all. Kitchen contains numerous pipes, fixtures and valves. The leaks waste a bunch of water and cost you extra money. Our plumbing pros will discover the hidden leaks and take care of them asap. Garbage disposals were invented mostly for people who love to cook. If you are one of them, you better learn how to use this invention correctly. If you dispose too much food into it, your garbage disposal becomes clogged easily and as a result your kitchen sink doesn’t drain. We’re able to fix or replace your garbage disposal, and will have your sink draining smoothly again. When you connect your dishwasher to your kitchen’s water supply and drain lines, it will run and drain water. But if something happens to your kitchen drains, your dishwasher starts malfunctioning and might cause flooding, clogs or worse. Kitchen plumbers at Orange County Plumbing Heating & Air Conditioning can diagnose the problem, repair or install a dishwasher, as well as help to mend or replace damaged or leaking supply lines. If one day you notice that your kitchen sink isn’t draining water as fast as it should and the water stays in it, it is a sure sign that it has become clogged over time due to mineral deposits, food debris and more. At Orange County Plumbing Heating & Air Conditioning we can help you remove all kinds of clogs and get your sink up and running again. If you’re dealing with the mentioned or any other kitchen plumbing issues, trust the professionals in kitchen plumbing. No matter what your kitchen plumbing issue might be, count on us to deal with it properly and quickly. Call us today!